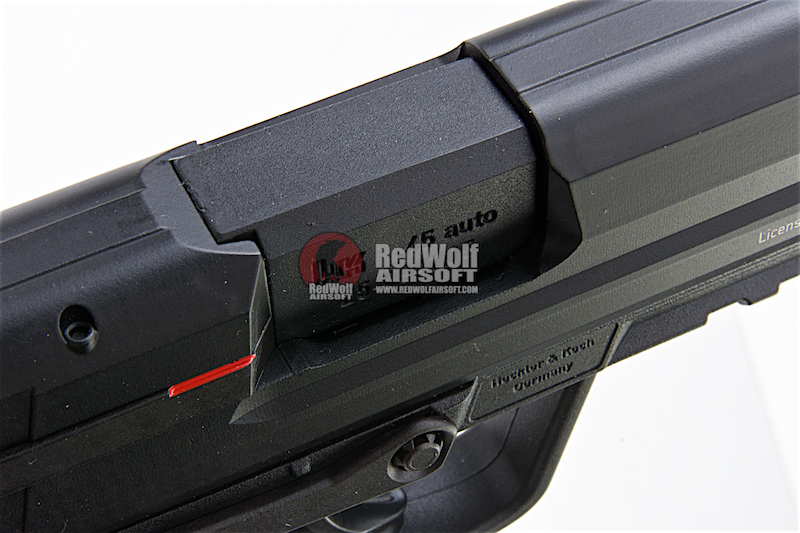 Comes with x1 29rds magazine. 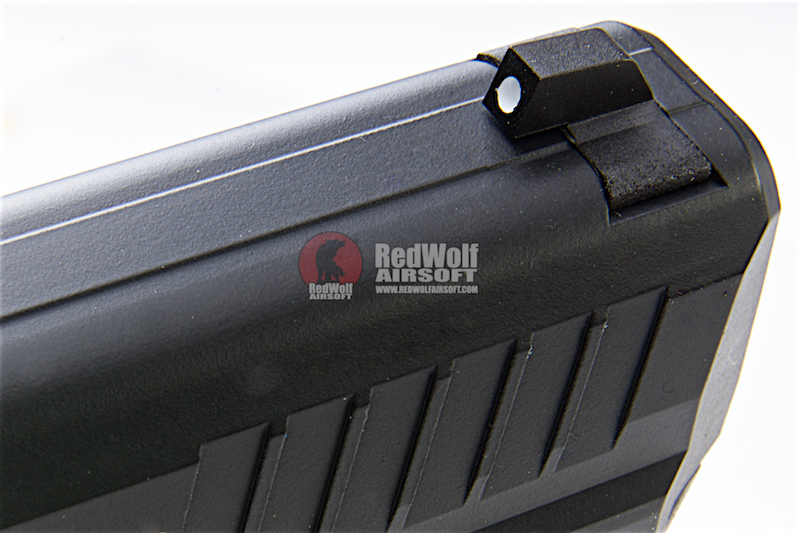 Magazine Compatibility - KWA HK45 magazines. 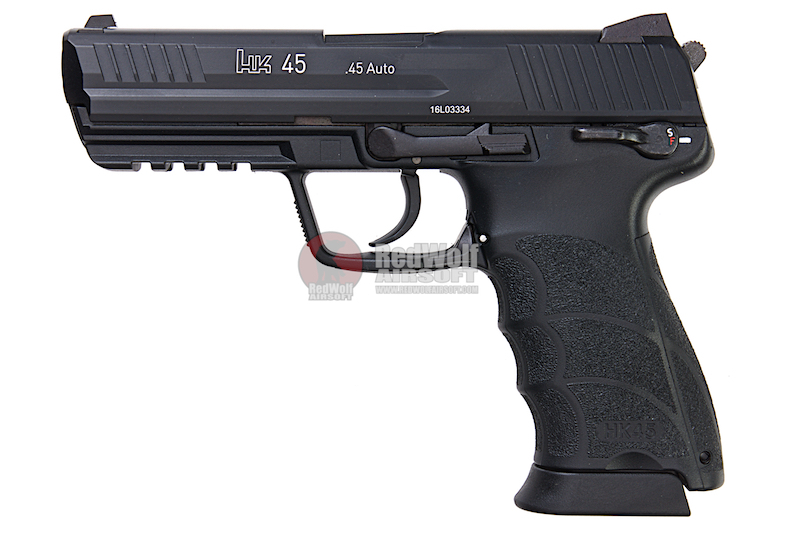 The HK45 was designed to meet requirements set forth in the U.S. Military Joint Combat Pistol program which had the purpose of arming the U.S. Military with a .45 ACP semi-automatic pistol instead of the 9mm M9 pistol. 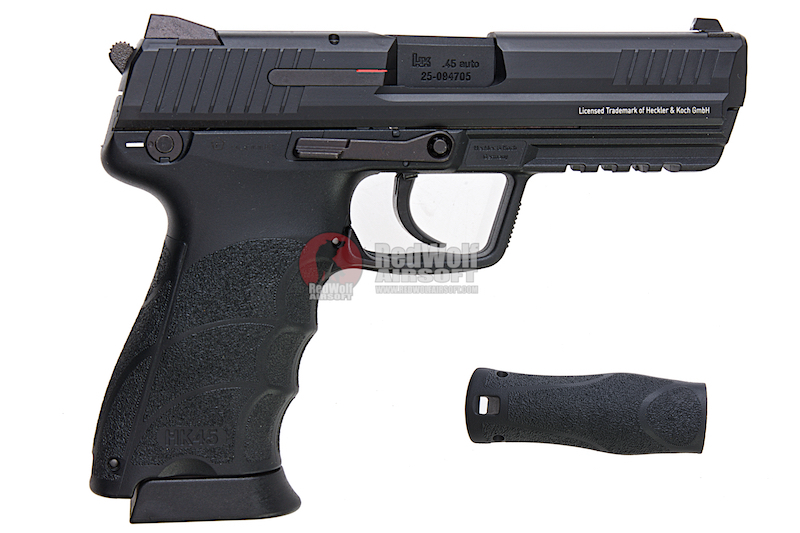 The Joint Combat Pistol program was suspended indefinitely in 2006, and the M9 pistol remained the standard issue handgun for the U.S. Military. 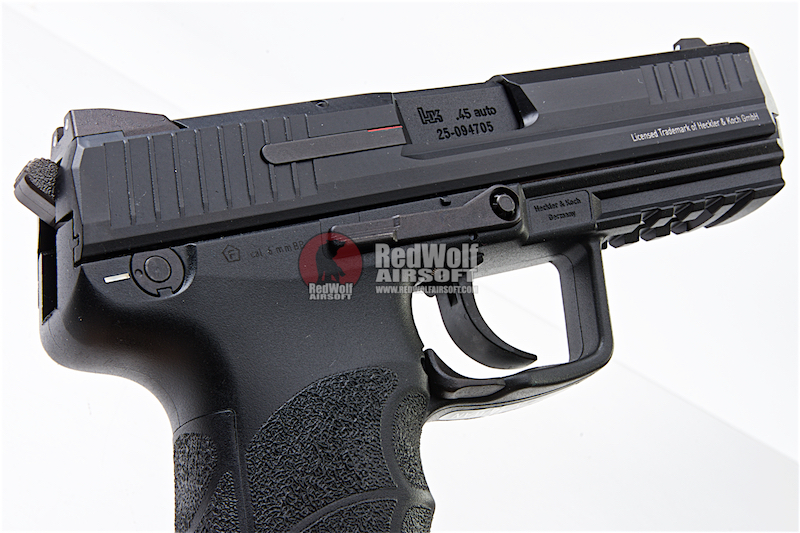 The Umarex HK45 is a highly sought after pistol that uses the KWA System7 for crisp strong blowback recoil. The gas efficiency is superb and bb travel is consistent. The gun itself is extremely ergonomic and feels great in your hand, and the back strap is removable and the gun comes with one spare. The trigger, on single action, is longer and heavier but its smooth, with the hammer down the trigger is short and reset is clean and easily felt. 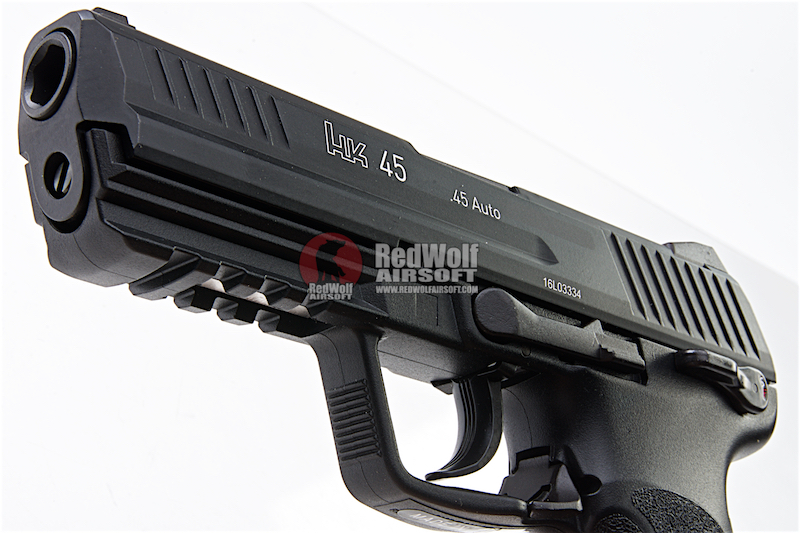 The gun is compatible with standard lights and lasers that fit on the bottom accessory rail and uses standard green gas or propane. 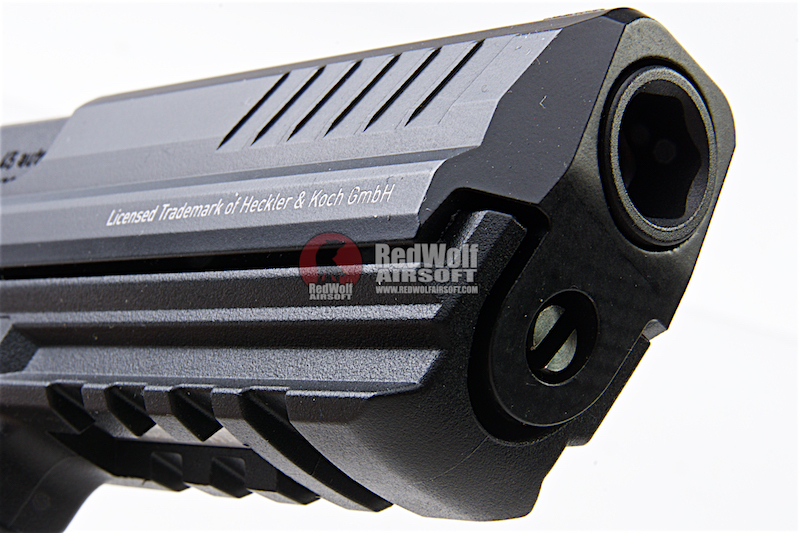 x1 Umarex H&K HK45 GBB - Black (by KWA).